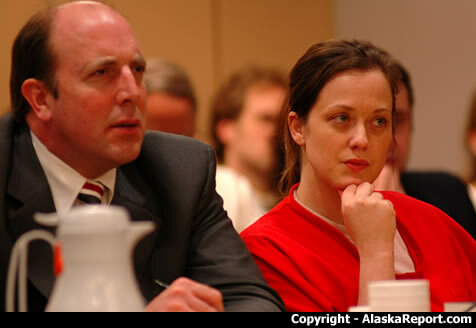 Mechele Linehan listening to Judge Volland explain his sentencing procedure. April 2, 2008. Linehan was later sentenced to to 99 years for the murder of Kent Leppink in 1996.